Perform complete diagnostic on two systems. Summer/Fall inspection on a Lennox system. Cycled heating and cooling. Checked voltage,amps,capacitors,connections, and safety switches. When you are looking to hire a certified, licensed, and highly trained plumber or HVAC technician in the Lilburn, GA area, you needn’t look any further than Snellville Heating, Air and Plumbing. In addition to being NATE-certified, our technicians, plumbers, and consultants hold local licenses and awards, such as being TrustDALE certified and being named the "Best of Walton County for Heating, Air and Plumbing Services" 8 years in a row now. Our core values include team work, accountability, and respect for others among other admirable qualities. This extends from our staff to our customers throughout the area. We look forward to serving you! There’s at least one appliance in your home that is taken for granted by a number of homeowners-the water heater. It’s something you use on a daily basis, but often don’t think about until something goes wrong. So when something does go wrong, you need plumbers who will respond in an emergency. You have that with our Lilburn, GA service professionals! We install and service water heaters in addition to a number of other plumbing pipes and devices for your bathrooms, kitchen, and whole home. Reach out to us today for whatever your plumbing needs may be. Are you worried that your outdated air conditioner won’t last through another hot spell? If your air conditioner has reached 10-15 years of age, it may certainly be time to consider a new cooling system. And you don’t have to stick with the same model you’ve always had! Central air conditioners are still very popular, with heat pumps being a great choice for year-round comfort. But if you’d like to eliminate the need for ductwork, then a ductless system is well worth your consideration. No matter what model of air conditioner you have, it has no chance of working efficiently throughout its lifespan if it’s not properly maintained and serviced by trained professionals. And if you are alerted to AC repair needs during maintenance, it’s best to take care of them right away. 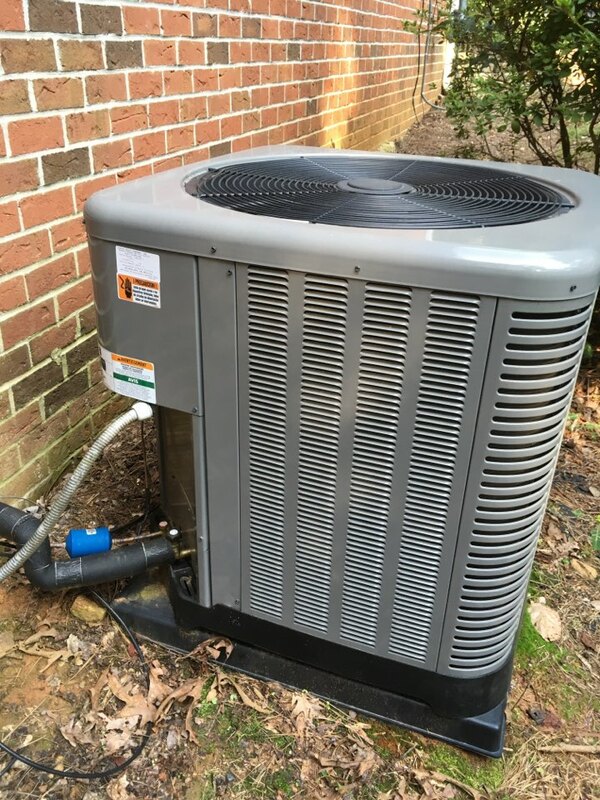 Call us when you need AC repairs in Lilburn, GA.
Over the years, your heating system can develop problems with its basic operation as well as efficiency. This is true for even a very well-maintained heating system. You might find that your heating system no longer turns on or off when it should, or that it’s causing your energy bills to spike. We provide comprehensive heating repairs, and emergency services, so be sure to reach out to our comfort advisors ASAP. What do you need to know about furnace installation? First off, it’s important to know that size does matter. Too small of a heating system will not be able to effectively warm your living space. But too large of a system can be just as bad. If your furnace is too big, it will go through a process called short-cycling, where it shuts off and turns on rapidly, wearing down the system faster than it otherwise would wear down. We’re available for quality furnace repairs, but we’d like to help you avoid the worst of furnace emergencies with expert installation and routine maintenance. Have you ever been tempted to open the window to let some fresh air in on the middle of a bitterly cold, or even sweltering hot, day? Doing so defeats the purpose of utilizing your HVAC systems since they won’t be able to run as effectively as efficiently, but is there another option? Yes! Ask us about our heat and energy recovery ventilators. HRV and ERV services are just part of what we offer in regards to indoor air quality. Inquire with our comfort advisors to learn about our other offerings, such as duct cleaning, Aeroseal® duct sealing, humidity balancing, and air filtration services. We have used Snellville Heating and Air for a couple of years now and have always had great customer service at a fair price. They are respectful of your time and home and ensure you are satisfied with their work. A good experience with Ethan Helton. Knew what he was doing and extremely courteous. Always great service and Doug is always my go to guy when I contact Snellville Heating & Air for service or maintenance agreement. Have and will continue to recommend Doug to anyone wanting a service refferal.